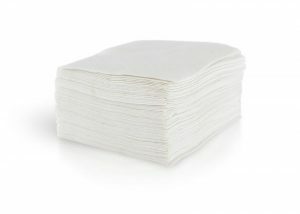 This white 1-ply beverage napkin is a commercial product for daily use in diners, delis, pizzerias, cafeterias, restaurants, bars, and other food service locations. Made of high quality materials and affordably priced, these beverage napkins are a cost-effective choice. View our line of food service beverage napkins below. Interested in pricing, or purchasing? Fill out our contact form or call 518-677-8511 and our team will be happy to assist you.